Did you know that museums around the world are a number one destination for all tourists visiting places? Museums are wonderful stops, not just for history but because they offer a lot of information in one place. A museum in your destination itinerary is important to help you best understand the area, and how it became. Often, you can learn more at a museum than just trudging from place to place. LA is huge so if you want to gather your information about the area fast, your best bet is to use these top 6 museums to visit in LA. Get ready for history, fun, and snippets of info you would otherwise know. 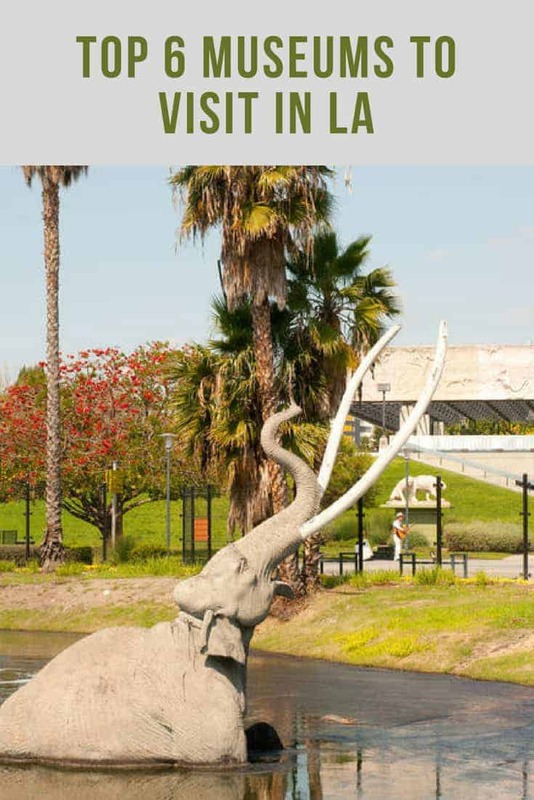 Travel and lavishly live life out loud very informed and in step with the top 6 museums LA has! LA has a surprisingly long roster of museums for all those cravings for an intellectual and enlightening experience here. But if you’re here for a couple of days, exploring all of them is just downright impossible. To help, we’ve narrowed down the list and picked out the 6 best ones that you need to check out. Read on to know more! Museums can be buildings, art displays, castles, zoned off areas, anywhere where a statement about time can be defined. It might be as simple as a few pieces of art or as large a multi-acre building. Each museum truly delivers elements of its area, to help you learn and gain appreciation. The Griffith Observatory is the perfect place for space enthusiasts to spend their day in LA, and for many good reasons. You can easily spend a few hours here enjoying their shows and exhibits and still want to see more. Plus, you can also look through the free public telescopes or join their public star party when it is being hosted! If space and science are your thing, you have arrived at your domain! Personally, I would suggest using this museum to get a perfect view of the Hollywood sign, just saying! The Natural History Museum first opened its doors in 1918, and today, it enthralls its visitors with its collection of mammal and dinosaur fossils, urban gardens and the skeleton of a 63-foot long whale. If you’re here, also make sure you check out the gem and the mineral hall. So inside you will find almost 35 million species and artifacts, and your time eras covered are beyond 4.5 billion years. Like seriously can you even imagine that? There’s a lot to do and see, so wear those walking shoes! If you’re fascinated by fossils and old remains of animals, this one’s the place to visit. The museum started off when around 140 years ago, some paleontologists discovered remains of animals in the pits here. Why is it so cool? Well, natural tar pit seeped up from the ground and that is just the beginning of the cool stuff! The lake pit used to be an asphalt mine! Today, you can take a tour through the Fossil Lab, reserve your spot at the Excavation Tour and even check out the Observation Pit to get a unique, one-of-a-kind experience. If you’re with kids, don’t forget to watch the Ice Age here! If you’re in LA with your family, the California Science Center is the best place to be. The museum takes you (and your kids) through a tour of different aspects of life sciences and space with its exhibits. This is the museum to crush on if you like ‘hands-on’ kind of learning and touring. There is an IMAX theater, activities, demos, climbing walls and a high wire bicycle, just a glimpse of what will make up your fun family day! OF course, the highlight of your visit here is the Endeavour, which is the final ship to be built by the NASA Space Shuttle Program. This museum was built in 1990 as an attempt by founder Armand Hammer to store his own collection, but he died just around 3 weeks after its inaugural. Today, the Hammer Museum hosts some of the best public events which include lectures and concerts, and displays top-notch modern art, photography, and design, focusing more on local artists. Additionally, housed inside is a permanent collection of historical works. Further, you will find multiple exhibits of what they term ‘edgy’ contemporary art. What else is inside? LA Has a lot of artists and there are select LA Artists being displayed within, a great way to celebrate local art appreciation! This one’s definitely one of the most popular attractions in LA. You need to discover it to its fullest, you’ll surely need an entire day. For me, a botanical garden is so the way to enjoy a museum. You may not consider it a museum, but if you can find many different plant and horticultural pieces in one place, it is a museum. The extensive and beautiful outdoor spaces, the works of art and everything else should be best enjoyed at a calm pace. When you’re here, don’t forget to check out the carefully landscaped Japanese garden and the Gutenberg Bible. The natural history museum looks exciting to visit. It will be nice to visit there.